Most of the time, your oral health is up to you. Our Smile Solutions Center is a one-stop shopping for all oral care products: from electric toothbrushes and toothpaste, to specialty products for sensitivity. The best part is that most of these items are priced below retail for your convenience, so you can forget that extra trip to the grocery store or pharmacy. We want to help you and your family maintain a healthy lifestyle outside of our office. 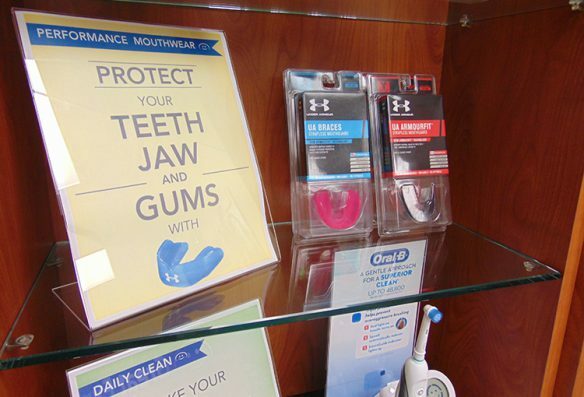 Visit the Smile Solutions Center at your local Great Expressions Dental Center.